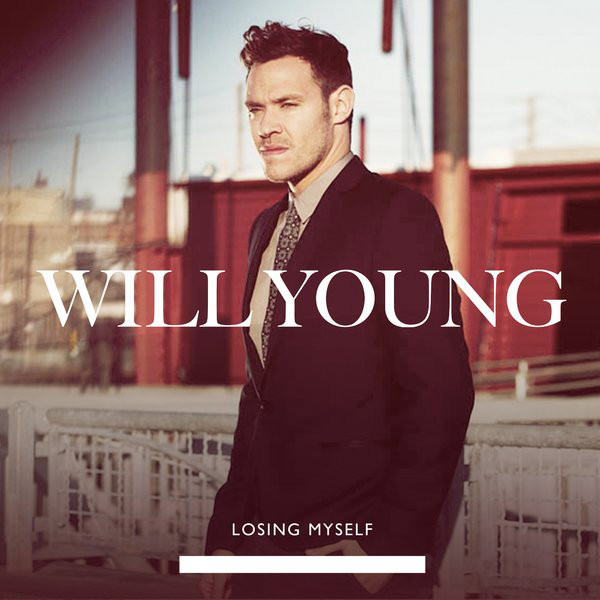 I'm not quite sure how I missed this one, but I had to do a post spotlighting Will Young's brilliant new single, "Losing Myself." The song is the third single lifted off Young's fifth studio effort, Echoes, which was released last August via RCA/Sony Music. The album peaked at #1 on the UK Albums Chart and spawned the stunning Top 5 hit single "Jealousy." "Losing Myself" was produced by Richard X, who served as the primary producer on all of Young's Echoes album. Co-written by Young and Pascal Gabriel, the single is yet another flaw-free cut taken from the album, and a follow up to "Come On," which featured a brilliantly beautiful video. All three of Young's Echoes-era singles have featured STUNNING music videos and "Losing Myself," directed by Henry Schofield, is no exception. Check out the video featuring Young and four attractive male dancers, as they dance (mostly) in sync to a cleverly choreographed routine set in a beautiful modern home. "Losing Myself" peaked at #72 on the UK Singles Chart, which isn't that spectacular. Given Young's recent statement about taking a good long break from music after the promotion of Echoes concludes, I'd hate for this to be his last chart showing, but historically speaking, it gets harder and harder to land a #1 record with every subsequent single an artist releases (unless of course you're Katy Perry). Typically speaking, if your first single off an album goes Top 5, your next few singles are going to fizzle in comparison. That's just the way it works. By the time the second or third single comes out, most people probably already have the album. That being said, Echoes is an incredibly solid effort on Young's part and I think there's quite a few more singleworthy tracks left to release so here's hoping we get a couple more. If not, I like the idea of a more soul-inspired record from Young. His vocal style is perfect for that genre of music, and a throw back to his debut might be long overdue. As long as he keeps making music I'll be happy. Download "Losing Myself" on UK iTunes HERE and look for the flaw-free remixes by Bimbo Jones.